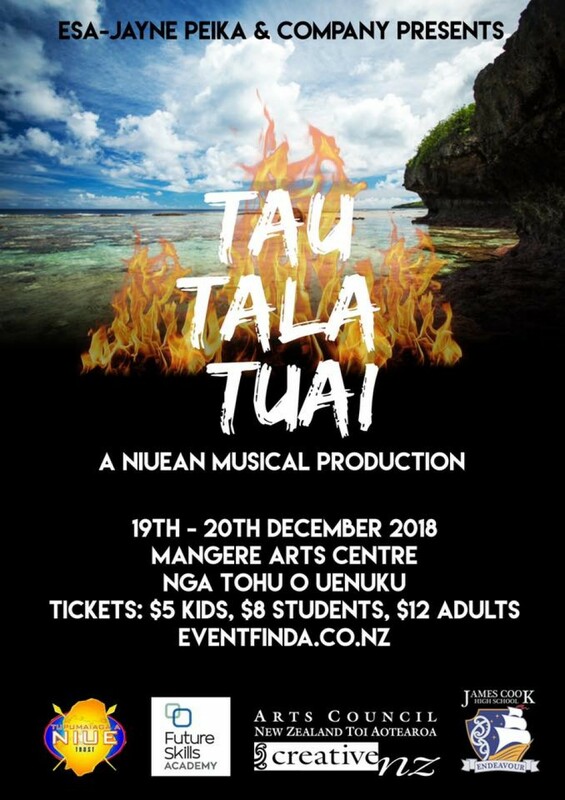 Presenting ‘Tau Tala Tuai’ – A Niuean Musical Production based on the Niuean legends of Maui Matua and Maui Tama, and Mataginifale and the Whale. Come and experience a musical story-telling of Niuean oral history brought to life with an amazing youthful cast full of talent, and a diverse range of Pacific cultural backgrounds, told through Vagahau Niue, featuring English subtitles. Showcasing a composition of original songs and dances embracing a fusion of contemporary and traditional styles, ‘Tau Tala Tuai’ is open to anyone and everyone to enjoy, so come and experience it for yourself!